The only meal you need to combat winter. 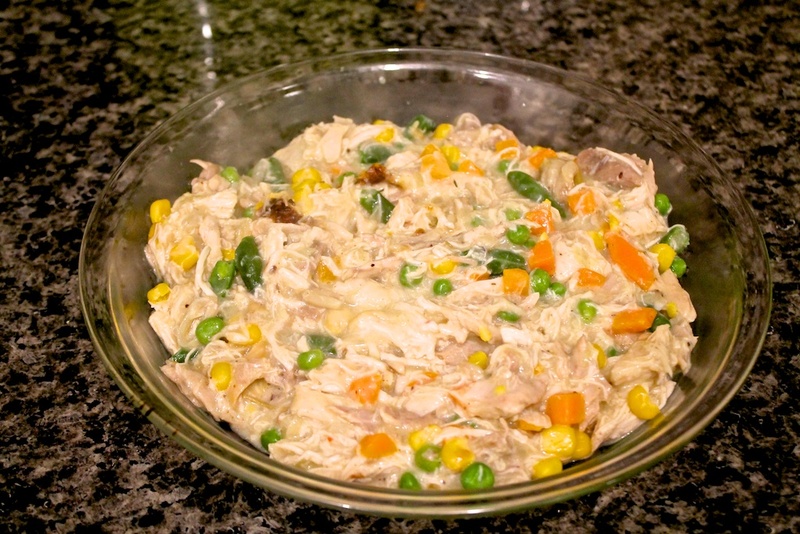 Chicken pot pie is the holy grail of comfort food, especially when all we’ve been getting is winter’s wonderful slush storms. But really, what’s not to love about chicken and veggies smothered in a creamy gravy, topped with a buttery-flaky pie crust? (The answer is nothing.) 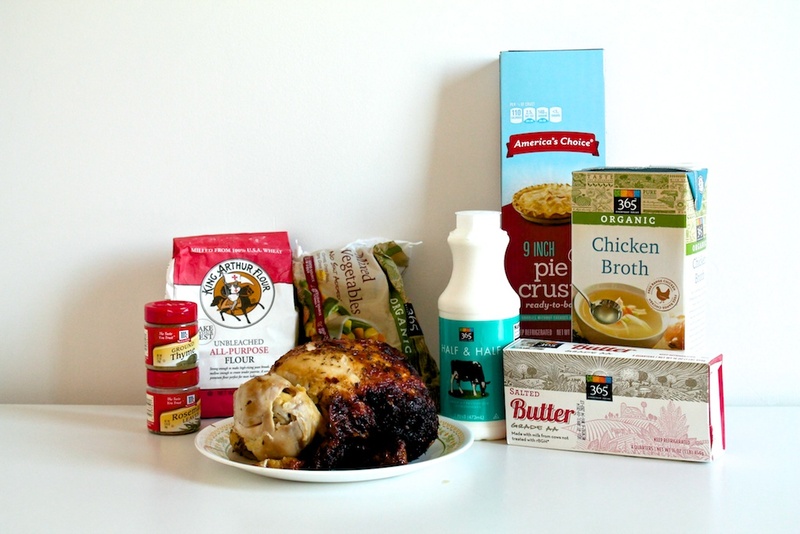 This choose-your-own adventure recipe that can be adapted for beginners or dorm room gourmands. 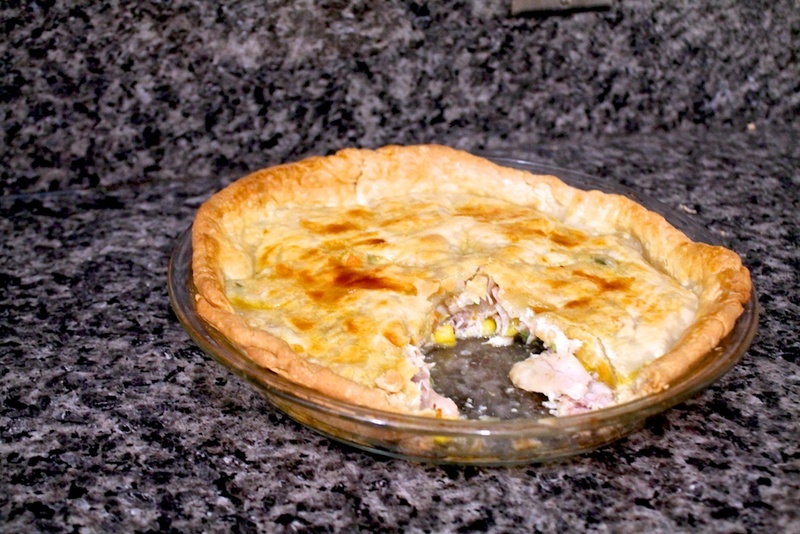 You can use frozen vegetables, a store-bought rotisserie chicken and pre-made pie crust (we did), or, if you’re an advanced cook, cook your own chicken and make a homemade pie crust. Either way, goodness is guaranteed. 1. 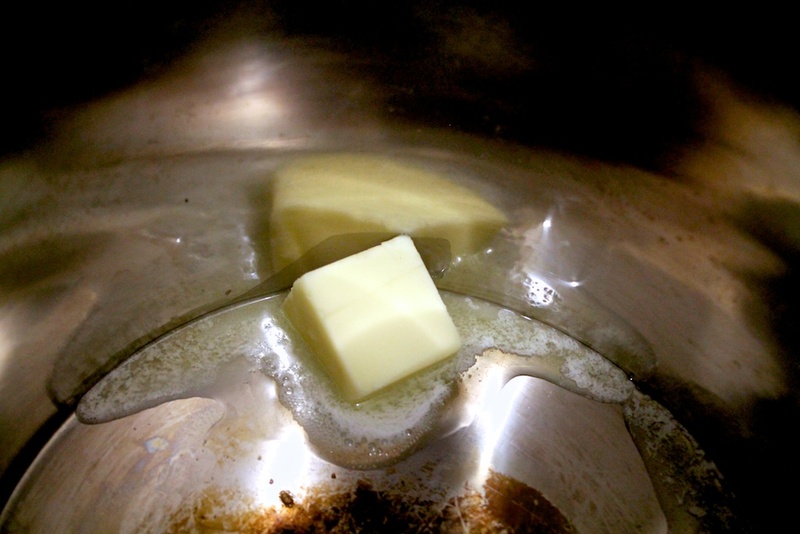 Preheat oven to 375° F. Melt butter in a large pot over medium heat. 2. Add onions and cook until translucent, about 5 minutes. 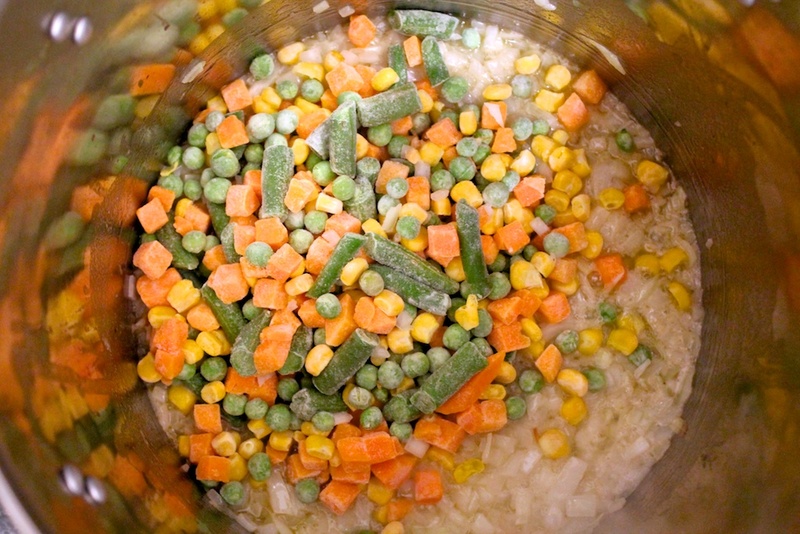 Add veggies and cook about 7 minutes (if fresh, cook about 3-5 minutes), stirring occasionally. 3. 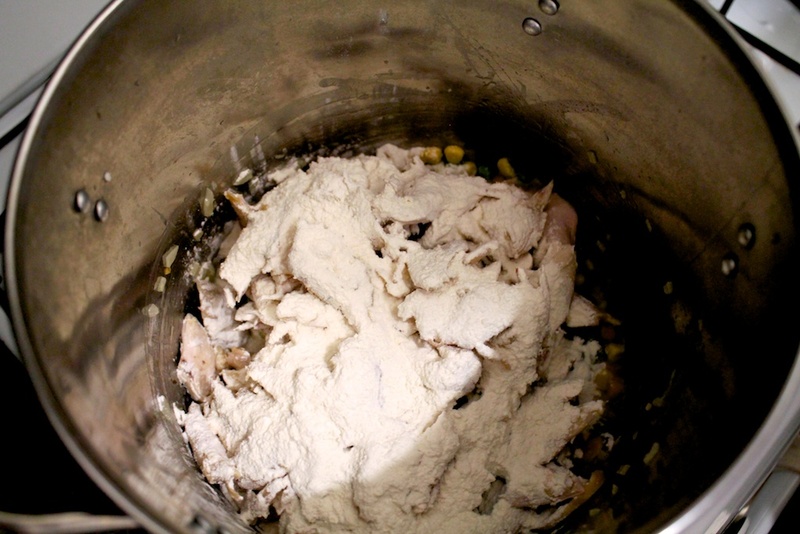 Add the cooked chicken and sprinkle flour on top. Stir until combined and cook about 1 minute. 4. Add the broth, wine (if using), salt, pepper, thyme and rosemary. 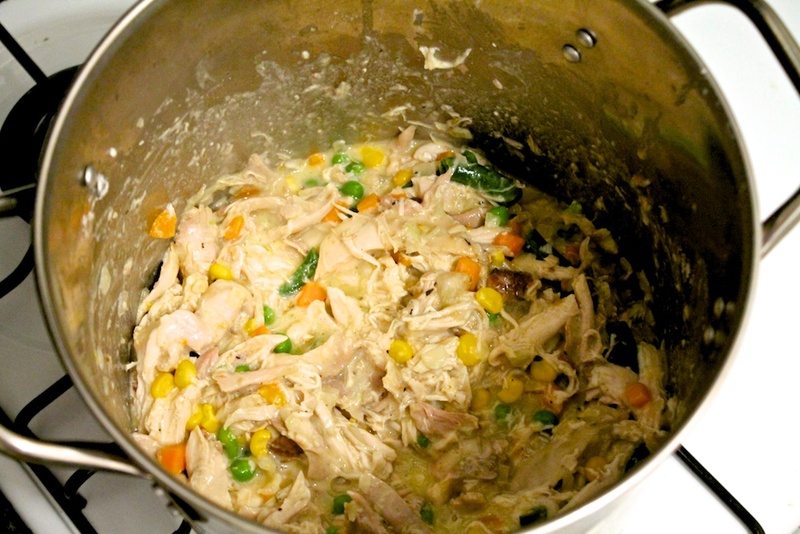 Cook until thickened, stirring occasionally, about 5 minutes. 5. Stir in half & half (or cream). Cook about 5 minutes until the mixture is thickened and slightly bubbly. It’ll probably start smelling amazing. 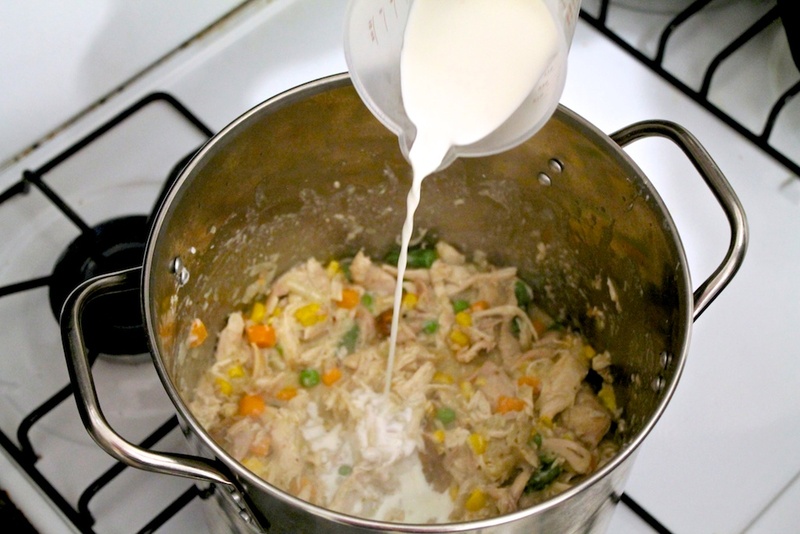 After 5 minutes, taste the mixture and adjust seasoning as necessary. 6. Pour the mixture into a baking dish—a 9″ pie plate works great, but you can also use a cast-iron skillet for a rustic look–or a 9×9 or 8×8 square baking dish. 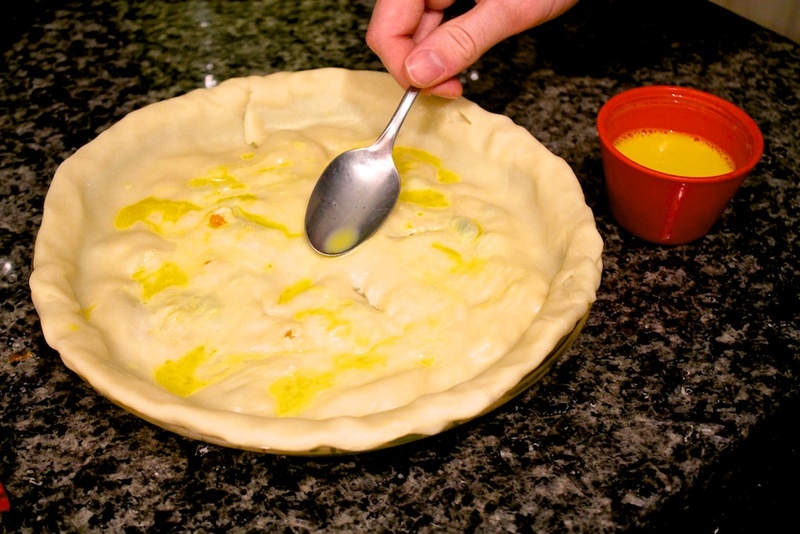 Roll out the pie crust and lay it over the baking dish. 8. Bake about 25-35 minutes, or until the crust is golden.